Crystal Cruises rates as a true luxury line, while Viking Ocean Cruises is labeled ultra-premium, but the two lines have a lot in common. Both operate similarly sized ships and itineraries around the world, feature multiple dining venues covering an array of cuisines and cater to well-traveled, mature passengers. Each is a good fit for passengers who want an upscale cruise environment on a ship that's big enough to offer plenty of choice. Below, we pit Viking vs. 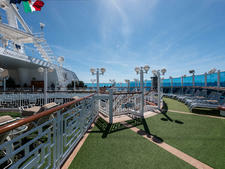 Crystal Cruises to see how the two lines differ and help you choose between them. The only similarity between Viking's and Crystal's ships are their size; otherwise, the feel of the ships are very different. Choose Viking if you prefer new ships with modern, Scandinavian and identical design. Viking Ocean Cruises has a rapidly expanding fleet of ultra-premium cruise ships with five identical 930-passenger ships currently operating; Viking Jupiter launches in February 2019, with another possible 12 ships planned to debut between 2021 and 2027. 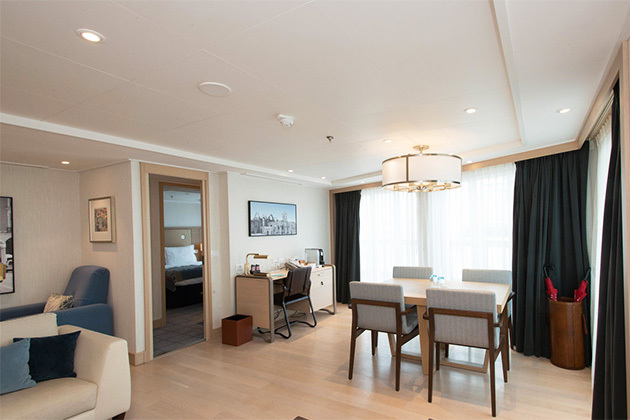 To date, all six ships are virtually identical, with a Scandinavian design aesthetic (clean lines, light wood), modern touches like bedside outlets and heated bathroom floors and all-balcony cabins. You will have the same shipboard experience on any Viking ship; in contrast, Crystal's two ships are similar but not identical, with differences in public areas and even cabin sizes. Choose Crystal if you want a true luxury cruise and don't mind older ships. Crystal's ocean cruise fleet consists of two beloved ships: the 848-passenger Crystal Symphony and 1,070-passenger Crystal Serenity. (The line also operates yachts and river ships, but for the purpose of this story, we'll focus exclusively on its oceangoing cruise ships.) The ships launched in the late 1990s, early 2000s, but have undergone several refurbishments; Crystal Symphony got an impressive makeover in 2017, with Serenity scheduled for a similar upgrade in fall 2018. No new Crystal ocean-cruise ships are planned until 2022. Crystal ships offer a more elegant and plush design aesthetic, and focus more on service and pampering. Viking and Crystal have a similar number of cabin categories, and flip-flop in terms of which line has larger rooms in similar categories. Both have jaw-dropping top suites with spacious living areas and extra perks. Choose Viking for entry-level cabins with balconies. Viking's intro cabins are 270 square feet, including a private balcony. Crystal's starter cabins are 202- or 226-square-foot outside cabins (depending on ship -- Serenity's cabins are slightly larger than Symphony's). Standard balcony cabins on Crystal are similarly sized on Serenity, but slightly smaller (246 square feet, including veranda) on Symphony. While similarly laid out, Viking cabins' smarter design make them feel less cramped. It's especially notable in the bathroom; Viking does not try to squeeze double sinks and a tub in its smallest rooms, and the bathrooms feel more usable because of it. And for smart, modern staterooms. Crystal's cabins and suites are lovely, but were built more for style than practicality. Viking's rooms are not as fancy, but the thoughtful touches make them eminently livable. Quiet-closing drawers and cabinets that don't wake you up when the water's rough, plentiful and accessible outlets and heated floors and no-fog mirrors in the bathroom don't necessarily have wow factor, but they make cruise life that much better for today's travelers. Choose Crystal for larger mid-tier suites and luxury amenities. Crystal's Penthouses (367 square feet) and Penthouse Suites (491 square feet) are more spacious than Viking's Penthouse Verandas (338 square feet) and Penthouse Junior Suites (405 square feet). They feature luxurious amenities such as walk-in closets, Jacuzzi tubs, in-suite afternoon tea service and course-by-course in-room dining from Prego and Umi Uma, in-suite liquor setup and butler service. Their design feels elegant and rich, with plenty of marble, luxurious bedding and decor that makes a statement. And for allergy-free rooms. Unique in the cruise industry, Crystal offers hypoallergenic PURE staterooms on both ships. These cabins are outfitted with air purifiers and go through a seven-step process to remove nearly all pollutants from surfaces and the air. If you have trouble sleeping, or breathing, when you're away from your carefully cleaned home, Crystal's PURE cabins might improve your travel experience. Crystal and Viking offer similar numbers of restaurants on their ships, so both lines offer plenty of choice. Generally, all meals are included on both (though Crystal charges for repeat visits at its most popular specialty dining venues). Both lines offer a main, sit-down restaurant, buffet, pool deck grill, Italian restaurant, snack bar and fancy afternoon tea with a view. Crystal ships offer a Ben and Jerry's ice cream station, while Viking's buffet is known for its gelato bar. Choose Crystal if you're excited about Japanese or Brazilian food, and celebrity chefs. Acclaimed chef Nobu Matsuhisa is the mastermind behind Crystal's Asian venues: Silk Road and Sushi Bar on Crystal Serenity and Umi Uma and Sushi Bar on Crystal Symphony. The main restaurant serves Nobu's unique Japanese-Peruvian cuisine, while a first-come, first-served sushi bar dishes out rolls and sashimi to a lucky few diners. Try the miso-glazed cod or lobster with truffle sauce. Crystal now also offers a Brazilian churrascaria in its buffet venue at night. Help yourself to hearty appetizers and desserts, and waiters will serve several different types of meat to your table, slicing them off skewers. It's a fun and casual meal, but definitely not a light one! Or if you're a wine connoisseur. Crystal's Vintage Room is a private dining room reserved for wine-themed dinners, which pair high-end wines with multicourse meals. 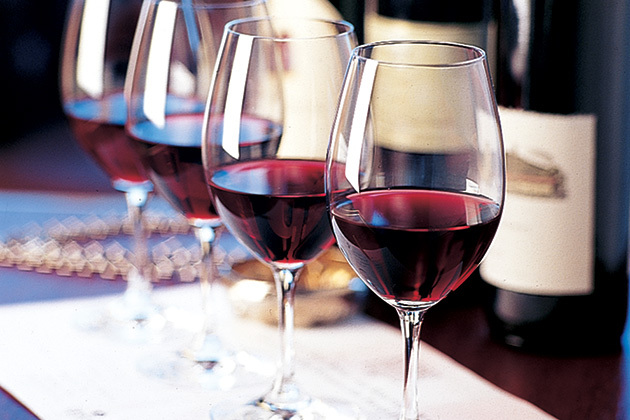 Passengers can arrange a private meal with friends and family, or join a small group dinner and meet fellow wine enthusiasts -- for an extra fee, of course. It also offers themed lunches and the occasional Ultimate Vintage Room Dinner, featuring rare wines and/or meals by regarded chefs. Choose Viking if you want Norwegian or local dishes. 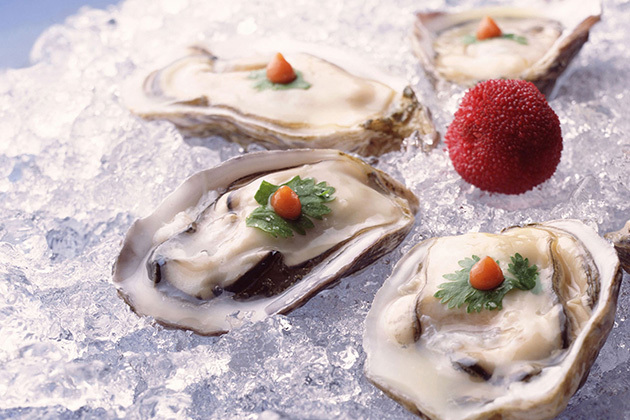 Viking Ocean Cruises embraces its Scandinavian heritage and that extends to meals onboard. 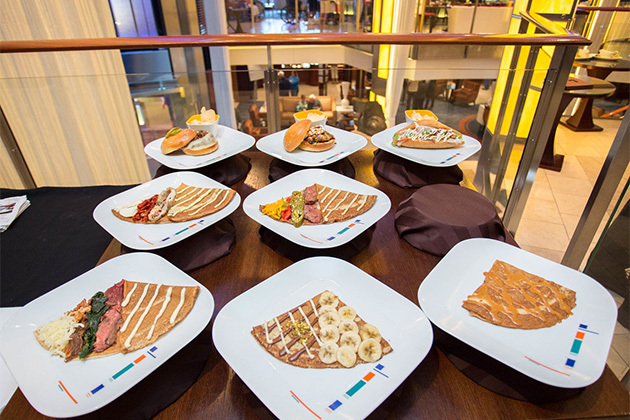 Mamsen's, an easily missed snack counter in the Explorer's Lounge, dishes up Norwegian specialties inspired by the line's CEO's mother's cooking. Breakfast offers waffles with Norwegian cheese, chocolate sauce and/or fruit, plus herring. Lunch features open-faced sandwiches, and dinner cured meat and bacon-and-pea soup. 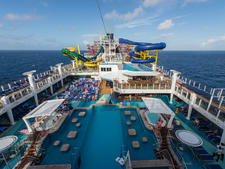 You won't find anything like it on another cruise line. In addition, Viking's main dining room, The Restaurant, offers a regional selection every night so passengers can try the specialties of their cruise destination. The three-course menu includes an appetizer, main and dessert, and passengers can go for the full meal or mix and match the dishes with other courses on the menu. Or if you want the full market-to-table experience. Viking offers only one restaurant with a fee -- The Kitchen Table -- namely because it's part shore excursion. This unique offering begins with passengers going shopping at a local market in port with one of the ship's chefs. There, you'll pick up interesting regional ingredients that will inspire your evening's dinner. At mealtime, you'll head to The Kitchen Table venue, which is part demo kitchen, part dining venue. The chef will join you again, showing you how to prepare the evening's dishes (you can try your hand at the preparation too) and serving you a multicourse meal paired with local wine. Crystal and Viking Ocean have different philosophies when it comes to entertainment. Crystal values a variety of daytime and evening activities, especially on long cruises with lots of sea days. Viking is more focused on getting passengers out into the destination, and its entertainment offerings reflect the fact that passengers spend more time off the ship than onboard. Choose Crystal is you want a large choice of entertainment and enrichment offerings. While Crystal has plenty of comfortable lounges for whiling away a sea day reading or playing games, it also caters to the go-go-go set who don't want to be bored. By day, it offers bridge lessons, dance classes, guest lectures, shows by Magic Castle's member magicians, fitness classes, and computer skills and digital movie-making workshops. At night, it routinely offers two shows (a mix of song-and-dance revues, comedians and guest musicians), as well as live music in various venues for dancing and listening. A new once-per-cruise Crystal White Extravaganza combines all of the above with performances and opportunities for passengers to take to the dance floor. Ships also have a dedicated movie theater for afternoon and evening showings. Choose Viking if onboard entertainment is secondary to onshore exploration. Viking is proud to offer lots of port time, including evenings and overnights, to its passengers so they can make the most of their destination visits. If you'd rather be off the ship than on and not "wasting" your time with sea days, its goal of making portside attractions the main entertainment is for you. That's not saying there's nothing to do onboard. While its stage shows could use work, its limited-seat cabaret shows and outdoor movie screenings are great fun. The line also embraces enrichment, bringing guest lecturers onboard for big- and small-group talks and screening TED Talks in its theater. Crystal and Viking also take different approaches when it comes to family style. Choose Crystal if you want to take the kids on a luxury cruise. Unlike many high-end lines, Crystal embraces families. Its ships have dedicated, though small, kids club spaces and it will staff them during holiday and school vacation periods when more kids are onboard. Outside the club, children can enjoy on-demand movies on in-cabin TVs, the pool deck, paddle tennis and shuffleboard and even staple programs like art classes and afternoon tea. 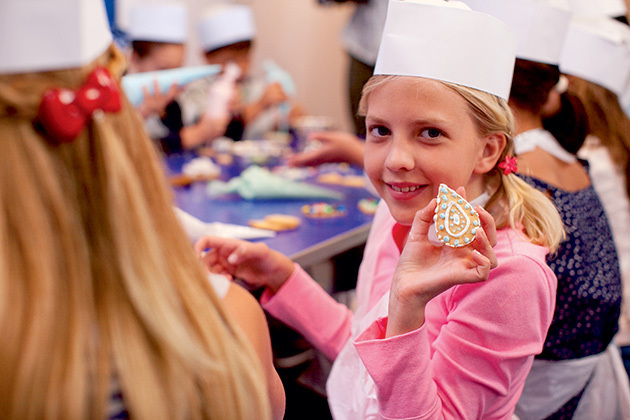 The line offers in-cabin babysitting, and chefs can prepare kid-friendly dishes for picky eaters. Many cabins are connecting or offer a third berth. You can also find "kids sail free" deals on select cruises. Choose Viking if you're traveling with grown children. Viking caters to adults, and the minimum age to sail Viking is 18. 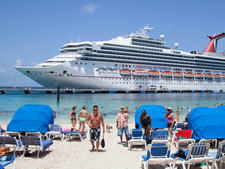 College-aged young adults would enjoy the port-intensive itineraries, but might not find many similarly aged peers onboard. As with all high-end cruise lines, prices vary widely based on cabin category, itinerary, sail date and how well that particular cruise is selling. Crystal and Viking can have similar pricing on similar itineraries (for example, both offered spring Mediterranean sailings between $400 and $500 per person, per night), so what's most important is knowing what you get for your money. Both lines include multiple dining venues, unlimited Wi-Fi and self-service laundry use in their fares. Choose Crystal if you want unlimited alcohol and included gratuities. Crystal follows the standard luxury cruise practice of including most drinks (including alcohol, soda and specialty coffee -- though the most premium liquors and wines come with an upcharge) and all gratuities for bar, housekeeping and wait staff. Viking charges a daily gratuity. While it includes select beer, wine and soft drinks at lunch and dinner, all other drink purchases cost extra and incur an automatic 15 percent gratuity. Choose Viking if you will make use of free shore excursions, an elaborate thermal suite and specialty restaurants. The most significant inclusion Viking offers that Crystal does not is one free shore excursion in every port. All Crystal tours cost extra. However, there's no choice on Viking; the included outing is typically a basic walking or sightseeing tour. All other tours, including the more niche ones, cost extra. In two other areas, Viking takes a slight edge over Crystal. While Crystal offers sauna and steam rooms in men's and women's locker rooms free of charge, Viking offers complimentary use of its expansive Nordic-inspired thermal suite to all. Passengers can access a stream room, sauna, snow grotto, cold plunge pool, thalassotherapy pool and hot tub for no extra charge. A similar difference applies to restaurants. Crystal offers complimentary access to all of its dining venues -- but after your first visit to its popular Italian and Asian restaurants, you'll need to shell out $30 per person for subsequent meals. Viking's restaurants are always included for every meal. Both Viking and Crystal sail around the world, offering a mix of short and long itineraries and annual world cruises. Choose Crystal if you're interested in themed sailings. Crystal hosts its own themed sailings, bringing onboard guest lecturers, experts and entertainers. Its wine and food festivals bring aboard guest chefs and wine and beer experts to run cooking demos, offer special meals and speak to passengers about their passion. Ballroom and Big Band cruises feature live orchestras, dance instructors and extra Ambassador Hosts to partner the ladies. Other themes include golf, film and theater (including Broadway artists performing and speaking onboard) and mind, body and spirit. 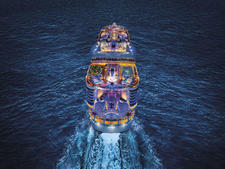 Choose Viking for destination-intensive itineraries and more choice. While Crystal loves its sea days because passengers can relax and take advantage of the onboard programming, Viking strives to have as few non-port days as possible. When able, the line will plan overnights or late nights in port. Couple that with generally long sailings (though there are some eight-day options), and you've got nonstop, destination-intensive itineraries that will excite (and possibly exhaust) zealous travelers. Because Viking will sail five ships in 2018 and six in 2019, compared to Crystals' two, it can offer a larger variety of destinations at any given time. Northern Europe and the Mediterranean are still the staple regions but cruises to the Caribbean and Americas (including Alaska and Bermuda), Asia and Australia are also available. If you've got set vacation dates, you'll find more options on Viking than on Crystal during the same time period.